Rustic, yet elegant in form, the four board and batten joined vinyl shutter with its arched top is an eye-catching addition to the exterior of your home. Choose from unique shutter height and inch fraction specifications for an ideal fit. 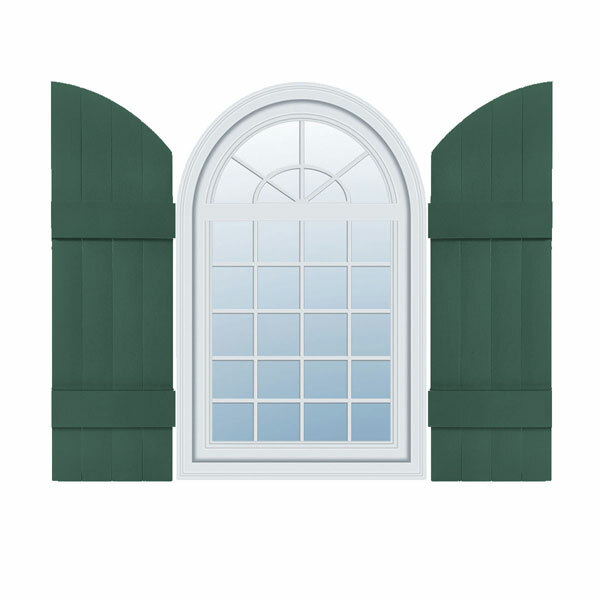 Our board and batten vinyl shutters are not only gorgeous, but also made for years of use and enjoyment. Durable molded vinyl has the look of a traditional wood shutter, but with modern durability. Vinyl is lightweight, and it resists chipping, warping, cracking, and insects - a truly versatile architectural material. 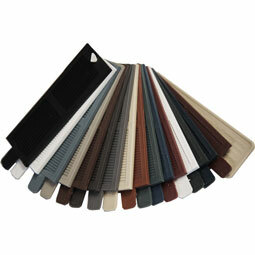 Our custom vinyl shutters are also colored throughout, so they will not fade or peel.